A guide to cloud computing for students, scientists, and engineers, with advice and many hands-on examples. The emergence of powerful, always-on cloud utilities has transformed how consumers interact with information technology, enabling video streaming, intelligent personal assistants, and the sharing of content. Businesses, too, have benefited from the cloud, outsourcing much of their information technology to cloud services. Science, however, has not fully exploited the advantages of the cloud. Could scientific discovery be accelerated if mundane chores were automated and outsourced to the cloud? 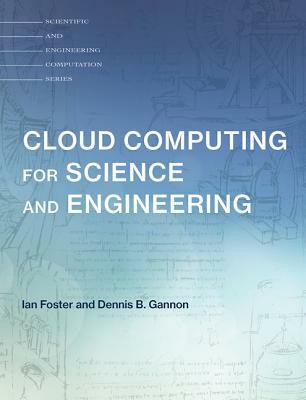 Leading computer scientists Ian Foster and Dennis Gannon argue that it can, and in this book offer a guide to cloud computing for students, scientists, and engineers, with advice and many hands-on examples. The book surveys the technology that underpins the cloud, new approaches to technical problems enabled by the cloud, and the concepts required to integrate cloud services into scientific work. It covers managing data in the cloud, and how to program these services; computing in the cloud, from deploying single virtual machines or containers to supporting basic interactive science experiments to gathering clusters of machines to do data analytics; using the cloud as a platform for automating analysis procedures, machine learning, and analyzing streaming data; building your own cloud with open source software; and cloud security. The book is accompanied by a website, Cloud4SciEng.org, that provides a variety of supplementary material, including exercises, lecture slides, and other resources helpful to readers and instructors.